This nomination arises from a life threatening situation involving an exchange of gunfire on November 16, 2015, in Pinellas County, Florida. A fleeing felon who was on state probation had failed to yield to a lawful attempt to conduct a traffic stop on his vehicle, and had been involved in two hit and run crashes. This felon subsequently shot at Trooper McMillan in an attempt to take his life. Trooper McMillan had responded to the area of 9300 MCI Drive, inside an industrial park, to assist in the search for this suspect, who was reported to be on foot, along with a fellow passenger. Prior to encountering Trooper McMillan, the suspect attempted to carjack an employee at a local business and then continued to run on foot, into a wooded area. Trooper McMillan, while surveilling the area, stopped his patrol vehicle when a citizen pointed to the area the suspect was hiding. As Trooper McMillan was looking for the suspect, the suspect shot at Trooper McMillan from a wooded area towards the roadway in an apparent ambush style attack. Trooper McMillan immediately took cover after being fired upon by the suspect. He distanced himself approximately 30 yards to the east behind an engine block of a Toyota sport utility vehicle. While looking through the window of the vehicle, Trooper McMillan observed the suspect moving straight towards him and the suspect’s hands extended out pointing a semi automatic hand gun at Trooper McMillan while continually pulling the trigger. Witnesses on scene corroborated this situation. The suspect choose to attack Trooper McMillan instead of continuing to run, which forced Trooper McMillan to return gun fire to defend himself. 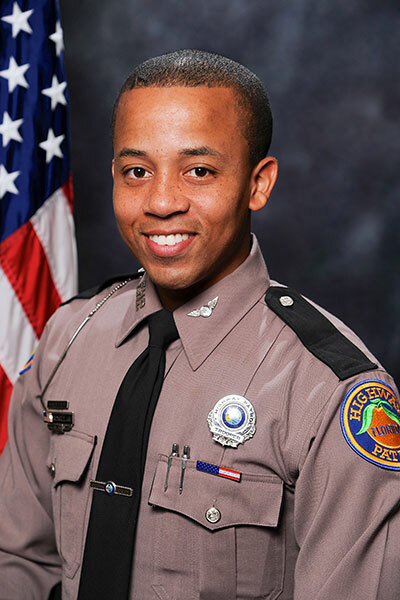 Trooper McMillan was able to strike the suspect with his service weapon, stopping the immediate danger to himself and others in the area, and allow for the apprehension of the suspect, who was subsequently provided medical care at an area hospital. Trooper McMillan’s actions were exemplary and a reflection of his training. He acted above and beyond the normal call of duty to save his own life and the lives around him in a busy industrial area, even as he was exposed to great personal danger. His commitment to the agency and the citizens of the State of Florida should be commended, and recognized.